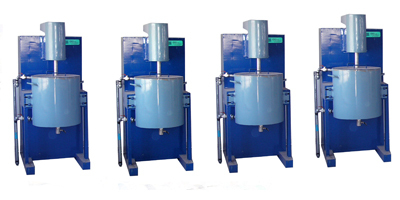 This machine is designed to fit for the demand of laboratory, it can change the rotation speed on the demand of experiment, get the best dispersal effect. This machine is easy to operate, convenient and has tough structure. It is stable and wothout noise. And it can be disengaged and clean easily. This machine is set to Automatic Suction Re-cycling mode, it can use tiny medium to grind materials, and make productmuch more dainty.